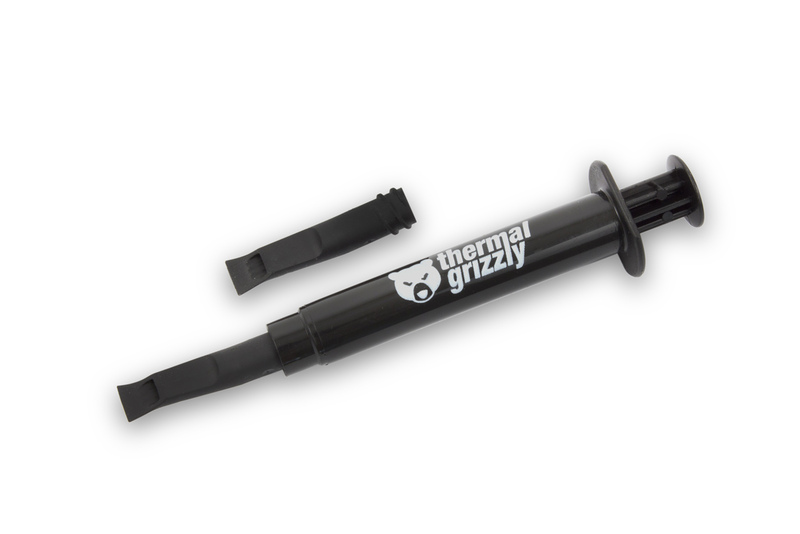 New Thermal Grizzly Hydronaut thermal grease now available! EK Water Blocks, Slovenia-based premium liquid cooling gear manufacturer, is now offering Thermal Grizzly Hydronaut thermal grease in its liquid cooling TIM portfolio. 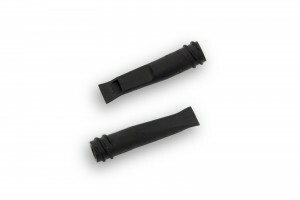 Two Thermal Grizzly applicators are enclosed. 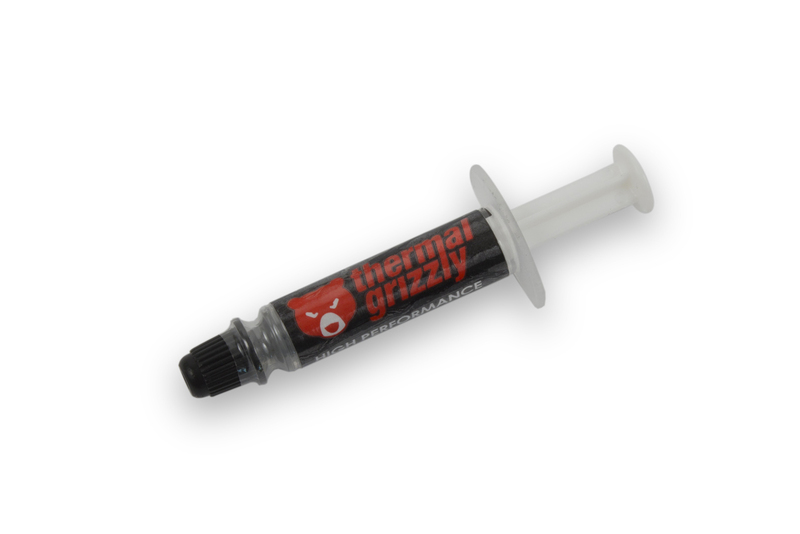 Thermal Grizzly Hydronaut thermal grease is available for purchase as the special syringe in the 3.9g package. 1g package is now also enclosed with every EK-Supremacy EVO water block (on the image below). Thermal Grizzly Hydronaut thermal grease is readily available for purchase through EK Webshop and Partner Reseller Network. In the table below you can find MSR price with VAT included.